Many people have had Health Savings Accounts (HSA) in recent years. They are investment accounts which allow employees to set aside pre-tax wages and save for reimbursing future medical costs. The 2017 Federal Tax law has brought focus to another tax advantaged savings tool: Donor Advised Funds (DAF). I describe them as simplified private foundations or as Charitable Savings Accounts (CSA). My mission is to encourage more Hope members to open one as a Church Savings Account. Beginning in 2018, the number of taxpayers who benefit from itemizing deductions is expected to be cut in half. Tax preparation will be easier, but there will be far fewer individuals with the incentive to make charitable contributions as a tax savings strategy. A new strategy is to bunch contributions for multiple year pledges into one large gift. It will create many challenges for Church budgeting. The perfect solution for many families will be opening a DAF. The best year to make a large bunched gift is when your income is higher than normal. Appreciated stock investments can be given without recognizing a taxable gain. The new Federal income tax standard deductions are 12,000 for single and 24,000 for joint filing. The limit for itemized deduction relating to state income tax and real estate taxes is 10,000, and is the same whether single or joint filing. Therefore, many singles will still benefit from itemizing deductions. But most couples will be challenged unless they have large home mortgage interest OR they bunch charitable giving. For example, bunching 3 years of giving (assume 5,000 annual pledges) into a 15,000 donor advised fund gift, would allow itemizing in one year and taking the standard deduction in the other two years. Most investment institutions have a minimum opening balance for a DAF that is between 5,000 and 25,000. This is large, but is about the same as the minimum needed to benefit from itemizing deductions above the 24,000 standard deduction. 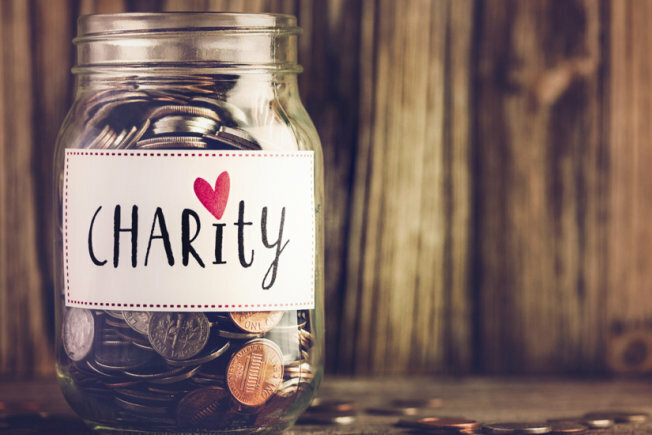 It is common to require each individual gift disbursement out of your DAF to a charity to be at least 250. Similar to giving appreciated stock, a direct donation from your IRA is a great way to be charitable and avoid paying tax on IRA distributions. You can only utilize this after you reach age 70.5. This is also the age when annual minimum distributions (RMD) are required. And the direct donation does satisfy the RMD. Many employees have 401K plan balances that will also require an RMD at age 70.5. Unfortunately, donations to charities can only be paid from IRAs. Many employees roll their 401K accounts into IRAs after retirement. But this is an important decision and requires planning with both tax and investment experts. Also, consider designating Hope Church as beneficiary of one of your traditional IRAs. This is a very tax efficient bequest, and a good topic to discuss with an estate planner.